Scotland’s leading independent courier company has announced a major expansion after taking over of one of its oldest rivals in Edinburgh. Eagle Couriers has bought out rival firm QED Couriers in a deal that will bring an extra £500,000 of business to the firm per year. The company, which employs more than 100 people between Edinburgh and Glasgow, signed the landmark deal this week ending a 25 year rivalry. Both firms set up in the capital in the early 80s and have been competitors since. 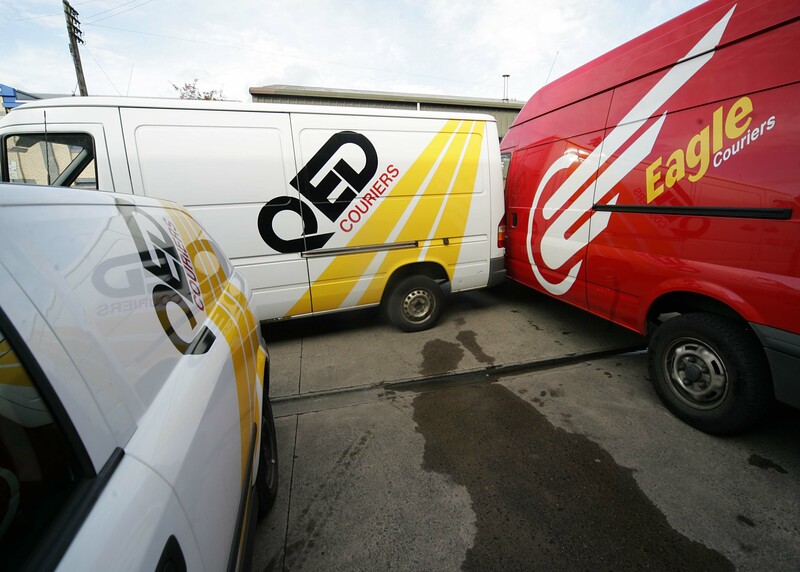 Under the deal, Eagle, which has grown significantly since a successful management buyout by three directors in 2005, will immediately incorporate QED’s 15-strong fleet of delivery vans into its Edinburgh depot. 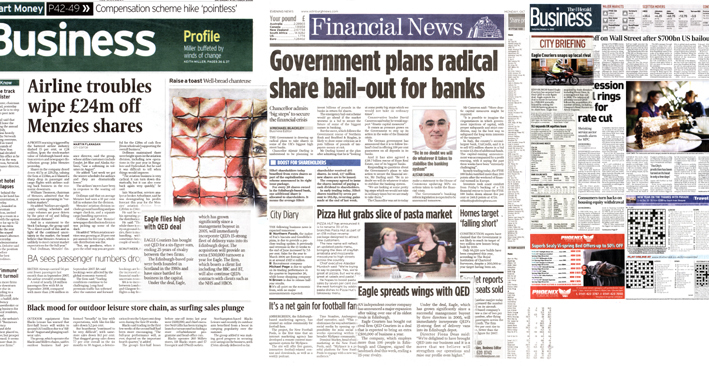 It will also continue QED’s ongoing delivery contracts with major clients such as the NHS and HBoS. Fiona Deas, one of Eagle Couriers’ three directors, said: “We’re delighted to have brought QED into our business and it is a move that we believe will strengthen our operations and raise our profile even higher. “QED is Edinburgh’s oldest courier firm and has an extremely well-known brand with a good client base. The company also has a number of big contracts throughout the city, so this is a very important deal for us. “As part of its business, QED carries out a number of deliveries between Edinburgh’s hospitals and we are keen to continue this work. We recently won a major contract with the NHS across the whole of Scotland so taking over QED’s deliveries will strengthen that. The deal is the latest in a series of moves to expand the firm’s operations across Scotland – which has included takeovers of Glasgow rivals Road Runner and Arrow Express. The takeover will see the company’s fleet of delivery vans re-branded with the Eagle Couriers logo, while all of its staff and couriers will join the Eagle team. Ken Oliver, managing director of QED, said: “In these days of increased security concerns, Eagle Couriers has invested heavily in technology and staff and provides full on-line booking and tracking capabilities, as well as fully-trained and security-vetted drivers. The takeover is the latest in a list of successes for Eagle Couriers over the past few months, which has included a £1.5 million contract with communications giant BT and a similar deal with NHS Scotland that will see the firm deliver documents and medical equipment to hospitals and medical facilities across the country until 2011. Earlier this year, the company also earned security clearance to make deliveries for the Government and other public bodies across Scotland. The firm now has backing from two organisations – the Government Car and Despatch Agency (GCDA) and Scotland Excel which both aim to improve efficiency and delivery of important public documents, files and information.